If it’s hard to explain how the outputs of complex systems relate to the inputs in terms of sequential processes steps, because of the complexity of the model, then perhaps it makes sense to come at the problem the other way round. Neural networks are very crude representations of human minds, and the way we understand human minds is through cognitive psychology – so what happens if we apply approaches developed to understand the cognitive development of children to understanding black box systems? That’s both powerful and worrying. Powerful because the approach seems to have some explanatory value and might be the dawn of a new discipline of artificial cognitive psychology. Worrying because if our most powerful neural networks learn and develop in ways which are usefully comparable with the ways humans learn and develop, then they may mirror elements of human frailties as well as our strengths. 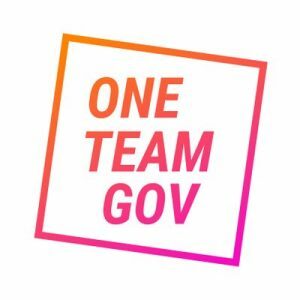 Published to coincide with this week’s One Team Government event, this is an excellent short guide to policy making in government. 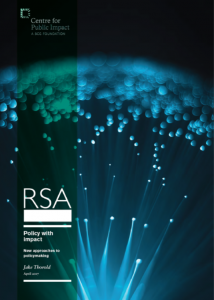 My only quibble is with its title: it’s addressed to government digital professionals, but that shouldn’t suggest to anybody else – including the policy professionals who are its subject – that they have nothing to gain from reading it. Perhaps the most important insight it contains is that policy isn’t a single specific thing: good policy (and good policymakers) bring together a wide range of skills and disciplines to address some very different kinds of problems. The synthesis of all that is what we call policy – but the boundary between that and other approaches (not least, in this context, digital) is an artefact of language as much as it is a division of substance. A sketchnote on building a bank, in this case Monzo, which is one of a number of new contenders starting in a very different place from traditional banks. The same basic approach could apply much more widely to service design – and indeed to organisation design. Complicated problems can be solved; complex problems can only be managed. Complicated problems can be addressed algorithmically; complex problems require creativity and adaptability. 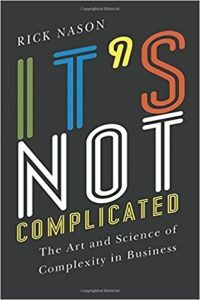 This article is more concerned with describing that distinction then addressing it, though that may just reflect the fact that it is an extract from a book, It’s Not Complicated: The Art and Science of Complexity in Business, which no doubt provides a fuller account. 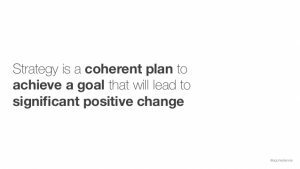 In a world of complex problems, plans and strategies do not align tidily with results, which is a reason for approaching them differently, rather than not having them. And that in turn requires organisations which can be comfortable with uncertainty and ambiguity. Technology is never neutral. What gets developed, how it gets developed, and how it gets used are all driven by social, economic and political factors. People who build services are never neutral either and can certainly never be normal users of their own services. 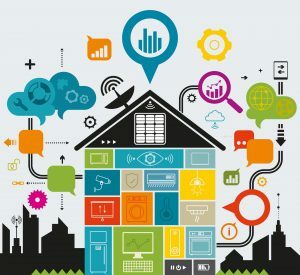 This article looks behind the internet of things to reflect on how completely frictionless transactions move power from consumer to provider, how what is normal for designers of such services is very different from what is normal for many of those who will find themselves using them, and how technology – and the data it moves and organises – is always about power. This is a post about black elephants: events widely predicted by those in a position to know, but found totally surprising when they actually happen, or elephants in the room retrospectively declared to be black swans. The Grenfell Tower fire was surprising and shocking – and at the same time, predictable. That puts it in a category of things which human institutions seem particularly bad at dealing with, where a problem builds up slowly and almost asymptomatically until suddenly a tipping point is reached, by which time addressing it has become massively more difficult. At one level, the solution to that is obvious – but that doesn’t seem to make it any easier to do in practice. And it’s perhaps worth saying that this quite abstract way of thinking about disasters is not an attempt to distract from the human tragedy, but on the contrary is a way of recognising and understanding that we need to deal with structural as well as particular issues if we are to see fewer black elephants in future. 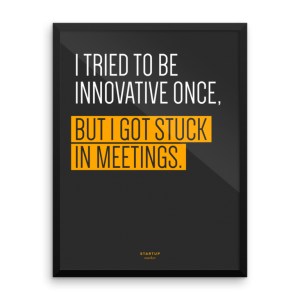 Organisations are essentially a solution to communication problems. In a market economy, firms exist when and to the extent that the costs of communicating and co-ordinating internally are lower than the costs of using market signals – that’s the classic make or buy decision. But the way we communicate has changed fundamentally since the era in which large integrated firms flourished (and since the heyday of Weberian bureaucracies), which suggests at the very least that we should ask whether organisations in the form we know them are still the solution – or are now themselves part of the problem. This post argues that managers are an expensive and unnecessary overhead, if certain conditions hold (the fact that they generally don’t is presumably an argument for applying them, rather than a counter to the conclusion that management is waste). As ever with Paul Taylor’s posts, the insight is powerful and the writing persuasive. But there is also an element of sleight of hand. Bad kinds of co-ordination are management and to be decried (but if the specific example is approving annual leave, that’s pretty low level), good kinds of co-ordination are leadership, which it seems we need more of, not less. And of course ‘markets’ don’t have to be limited to markets. What would you put on a reading list for gov policy people eager to dig deeper on digital? The collected answers – crowd sourced in short order – make up an impressive list. It’s inevitably a bit uneven, but there is a lot of good stuff there, and it’s well worth dipping in to. 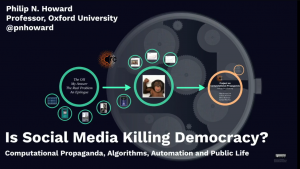 There is a positive conclusion that there is growing recognition of the need to study the social impacts of machine learning – which is clearly essential from a public policy perspective – but with concern expressed that multidisciplinary research in this area lacks a clear home. 21st Century Automation: Is This Time Truly Different? Neatly sidestepping the question of whether technology will only destroy jobs or, as every past cycle of technical innovation has done, will also create new (and perhaps currently unimaginable) ones, this post focuses instead on when such a shift can be expected to occur. The period of disruption between the old and the new is important even if it were possible to be confident that the new would be a better place. For much of the nineteenth century, the industrial revolution brought poverty and reduced life expectancy for many – only towards its end did the subsequent century of rising living standards begin. Are we at similar risk of facing serious, and potentially long drawn out, disruption to social order?